Tadashi Furuhara received the degrees of BE (1983) and ME (1985) in Metal Science and Technology from Kyoto University, Japan and PhD (1989) in Metallurgical Engineering and Materials Science from Carnegie Mellon University, USA. In 1989, he joined, as a faculty, Department of Metal Science and Technology at Kyoto University. In 2005, he moved to Institute for Materials Research at Tohoku University as Professor of Microstructure Control in Structural Metallic Materials Laboratory. His major research interests have been in the physical metallurgy and microstructure/property control of alloys including steels, titanium alloys, etc. He has published over 200 papers in refereed scientific journals and co-authored 15 books. His work has been recognized by various awards, including Tanigawa-Harris Award of Japan Institute of Metals and Materials (2015), Technology Award of Japan Titanium Society (2006), Nishiyama Memorial Award of Iron and Steel Institute of Japan (2000), and Vanadium Award of Institute of Materials, Minerals and Mining (UK) (2005, 2016). 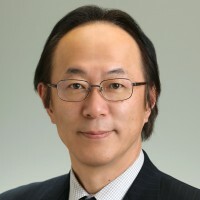 Prior to his appointment as an editor of Acta/Scripta Materialia in 2017, he served as editorial board members of several journals, including a board of review of Metallurgical and Materials Transactions A, an editorial board of Materials Science and Engineering A, an associate editor of ISIJ International, and an editor-in-chief of Materia Japan.